Meet Alexa, your future Sous Chef! Having trouble navigating between cooking and scrolling through the recipe on your computer? Let Alexa be your personal sous chef and guide you through any recipe. This sous chef skill lets you pick from thousands of recipes and walks you through the preparation and cooking process. The app includes recipes from Food Network and other sources to provide a variety of different recipe options. It also includes healthy, low calorie meals that are easy to cook. 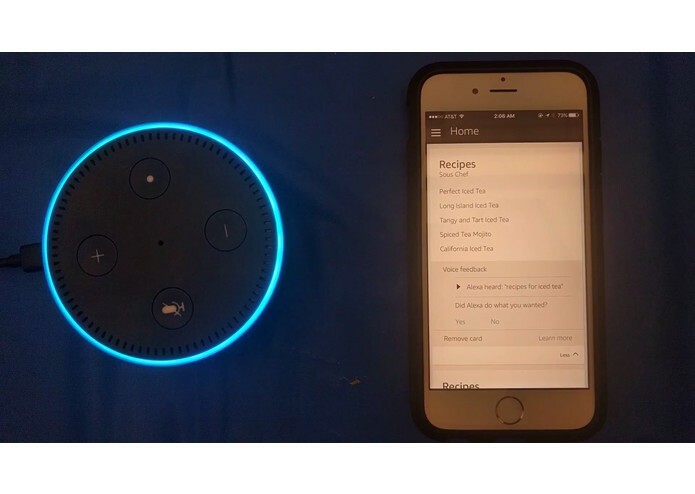 Upon selecting a recipe, Alexa will list the ingredients and send them directly to your phone. Once you're ready to cook, let Alexa know and she will guide you step by step through the instructions. The backend was built with flask and python, with a sqlite database. To get the recipes, we crawled foodnetwork.com and scraped about 30,000 recipes. We also used the spoonacular api to get healthier recipes. For the recipe images, we used the Bing Image Search api to get corresponding pictures. We created a skill for Alexa and using Flask-Ask. 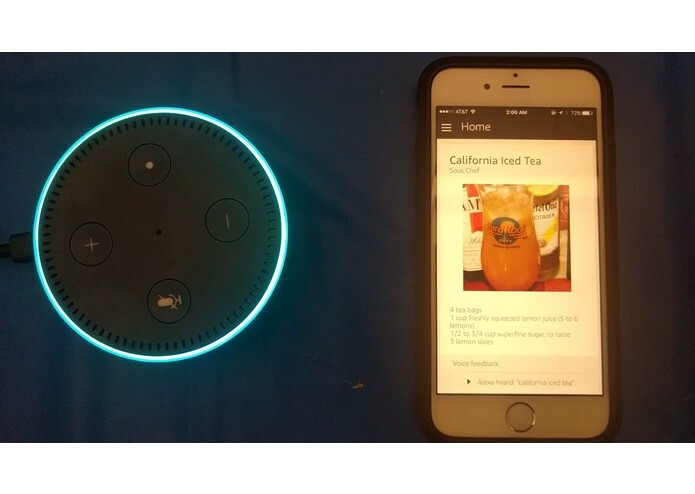 In order to maintain a user flow and state, we used Alexa Flask that allows us to set up scenarios to follow and trigger the actions we want. Alexa control was done through the standard Amazon developer console. There were no suitable free apis for searching recipes, so we had to resort to crawling sites and scraping/parsing HTML. This process took a significant amount of time to accumulate the data. I worked on designing the VUI, user flow, code for Alexa to talk to the user and the Intents, and creating a sizzle reel and logo.